Darren Ferguson wants his new Doncaster Rovers team to be more of a reflection of himself and his managerial principles. Having already secured five new signings, the Scot has wasted no time at all in putting his own stamp on the squad. And Ferguson - who joined Rovers last October with a reputation for entertaining, attacking football - admits the task of getting his team to reflect his own philosophy is paramount as he bids to win over Rovers’ fans and transform the club’s ailing fortunes. 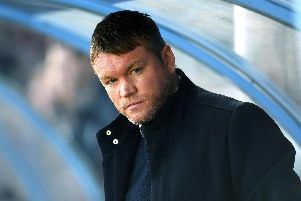 Ferguson was asked by the The Star at the end of last season why, after he failed to keep Rovers in League One, he was the right man to take the club forward. “I know that I can be successful in these leagues. I’ve done it before,” replied Ferguson, who guided Peterborough to back-to-back promotions from League Two to the Championship between 2007 and 2009. “I’ve got to try and make sure that I get a team that will reflect me as a manager more, and I’ve got to do that quickly. “Am I the right man to take us forward? Only time will tell. Ferguson’s swift and decisive recruitment has certainly gone some way to appeasing supporters - and his signings so far leave little doubt about the way Rovers will play next season. He can build the team around Tommy Rowe, while Matty Blair offers something different. Mathieu Baudry is a centre half who likes to play out from the back, and Joe Wright has been encouraged to be equally brave on the ball. Goalkeeper Ross Etheridge’s distribution skills were also key to his arrival.